Gene expression patterns change with age. This influences the rate at which an individual ages, and also determines what senile disorders they are likely to contract. But innovative gene-editing methods based on a unique technology called CRISPR (clustered regularly interspaced short palindromic repeats) are now being successfully harnessed for use as an age-reversal therapy for humans. In response to these breakthroughs, Life Extension® magazine sent biogerontologist Dr. Gregory M. Fahy to Harvard University to interview Dr. George Church, who is a leading developer of cutting-edge CRISPR techniques. Here, Dr. Church explains remarkable opportunities for transforming human aging that may begin to unfold sooner than most have imagined. Church: I think it can happen very quickly. It may take years to get full approval, but it could take as little as a year to get approval for phase one trials. Trials of GDF11, myostatin, and others are already underway in animals, as are a large number of CRISPR trials. I think we’ll be seeing the first human trials in a year or two. Church: We know that there are cells that deteriorate with age in the human body and that we have the ability to turn those back into young cells again. This means we can effectively reset the clock to zero and keep those cells proliferating as long as we want. For example, we can take old skin cells, which have a limited lifetime, and turn them into stem cells (stem cells are cells that can turn into other kinds of cells) and then back into skin cells. This roundtrip results in the skin cells being like baby skin cells. It’s as if my 60-year-old cells become 1-year-old cells. There are a variety of markers that are associated with aging, and those all get reset to the younger age. Fahy: That’s fantastic. Does this mean that reversing skin cell aging in your face would allow you to rejuvenate your entire face? Church: If you rejuvenate at a molecular level, it doesn’t necessarily mean that everything else rejuvenates. So, for example, if my face has a scar on it, it’s not going to necessarily reverse that (although theoretically it’s not out of the question). But we can reverse the tendency of your cells (and therefore of your whole body) to deconstruct when you reach your life expectancy. Church: Gene expression results in each cell having specific RNAs and proteins, and these can be surveyed. You don’t necessarily have to define every single RNA in a particular cell to understand that cell, but you can, and we have in fact developed a new method to do this that allows us to see all of the tens of thousands of RNAs in a single cell at one time, and to see the RNAs in neighboring cells as well. So now we can see how different cells relate to one another in context. This new method, called fluorescent in situ sequencing, or FISSEQ, allows us to count all the RNAs in a cell while simultaneously counting all of the RNAs in all of the cells it touches. Plus, we get the 3D coordinates for every RNA molecule in every cell. Fahy: That’s unbelievable. How can you use this method to search for changes that are related to aging? Church: Suppose there are two different kinds of cell, and we want to know what gene expression states make them different from one another. We can first compare the two cells using FISSEQ in order to determine the differences in gene expression between them. Next, we can pick specific differences we think cause the cells to be different cell types, and change the expression of those particular genes in either or both cells using, for example, CRISPR, and see if we can change one kind of cell into the other. Even if we don’t get it right the first time, we can take many guesses as to what the important RNAs are and just how much to tweak them until we do get it right. No matter where you get your lead, you don’t have to worry about having too many hypotheses. Just use CRISPR to activate or inhibit that candidate gene and look for the biomarkers of aging reversal we discussed earlier. The idea is to see whether your change has an impact or not, and whether it acts synergistically with the other things that have been shown in the past to have an impact. Fahy: I’ve been told by James Clement, who is being funded by the Life Extension Foundation to do collaborative work with you on the genetics of super-centenarians (See sidebar: Life Extension Foundation Funding of CRISPR Research), that you might even be able to take super-centenarian gene expression patterns and put them into mice and see if the mice age more slowly. Church: Right. Our protocol will likely be to collect leads from the four different sources and try them out first on human cells. By going straight to human cells, we won’t get into the trap of spending years working on mice, which is rather expensive, only to find out that it doesn’t work in humans. We can actually do a cheaper and more relevant study in human cells, confirm them in mice, then test them in larger animals, and then in humans. I think that going from human cells to mice and back to humans is likely to save us time and money. Many human cellular testing systems are getting better and better, such as “organs on a chip” or organoids, which are getting to be more and more representative of in vivo biology. There are viral and non-viral delivery systems that could be used to deliver CRISPR constructs and that will leave the blood vessels and go into the tissues. 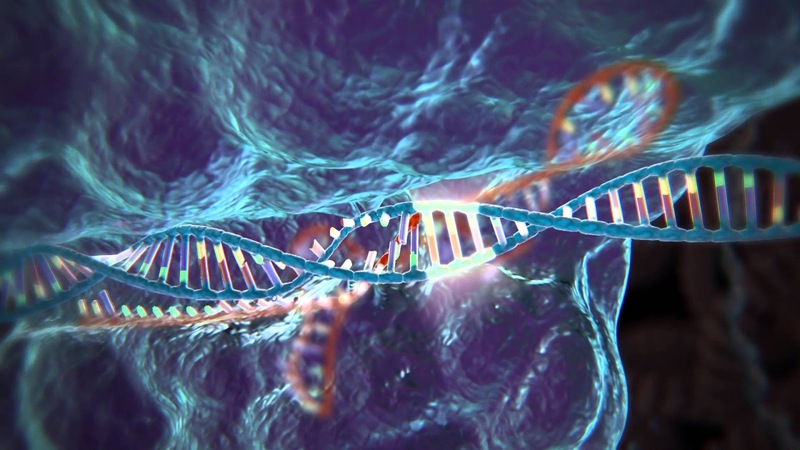 The delivery system could contain the CRISPR plus guide RNA plus the donor DNA (See sidebar: Gene Editing with CRISPR), or it could just comprise the CRISPR, guide RNA, and protein activator, and so on. But whether it’s a viral delivery or a non-viral delivery method, the total mass of gene editing devices that has to be delivered will have to be considerable. But there is no rush, you can deliver them slowly. Church: Adeno-associated viruses (AAV) are one of the favorite delivery systems right now because they can be nudged into going to tissues other than the liver (where many other delivery systems end up) more readily. This is an active field of discovery. It’s moving quickly, and the CRISPR revolution just made it an even more desirable field to study. Church: Yes. We have a number of ways to measure mitochondrial function and age-related losses of those functions. When we activated TFAM, these changes returned to what you would expect of a younger cell state. And we built this anti-aging ability into the cell, so it’s self-renewing and eliminates the need to take pills or injections.